At Montvern Panel Masters, we’re experts in all kinds of smash repairs in Melbourne. We provide a complete range of services to get you moving again, from core panel beating to full car body repairs and detailing. We’ve been doing smash repairs on all makes of Australian and foreign cars in Melbourne for more than 50 years. If you need high precision professional standards of work on your car, we’re here to help. 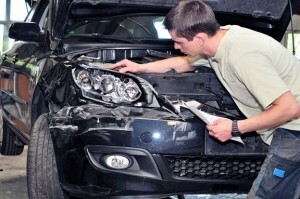 We use current generation smash repair technologies to ensure that your car is properly repaired. We work with late model top of the line brands like Porsche, BMW, Audi, Mercedes and Volvo. Whatever services you need, our expert smash repairers will deliver top of the line workmanship. We’ll provide a replacement vehicle and useful help to manage your needs during repairs. We’ll even help with your claim, making your smash repairs even more affordable and stress-free! All work is done according to our high-quality standards. To find out more about our services or for urgent repairs, call us now on (03) 9874 5899. You can contact us online too, and we’ll respond ASAP to help you get back on the road. We’ll deliver all the support, technical guidance practical help and solutions you need. Need a quote? For a fast response, simply use car repair quote.